January 21: Rebecca S. Hauer, amateur theologian, avid writer, abuse survivor. Read more on her website. February 18: Nicole Ramirez, NAMI and mental health. Bring your story. Bring you. When we connect to the stories of others we honor them and we grow. 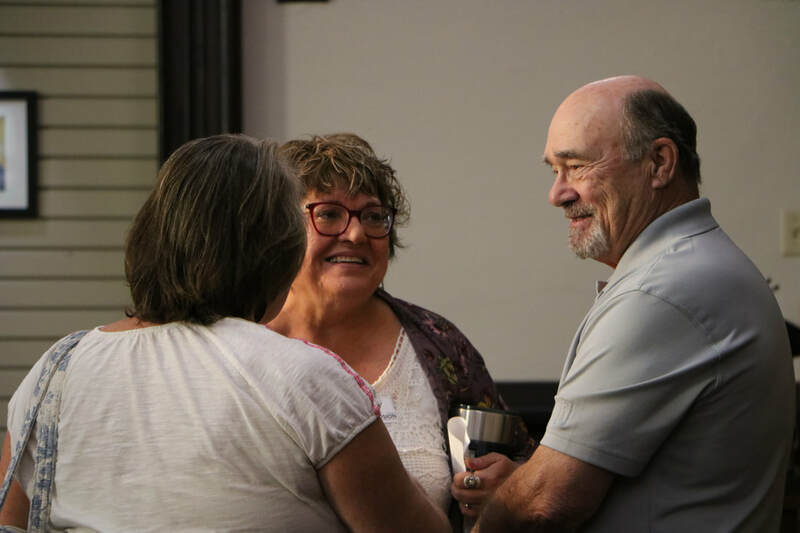 Each month features the story of a guest speaker followed by discussion and dinner. Pre-K to 5th children are invited to participate in Fusion Kids. 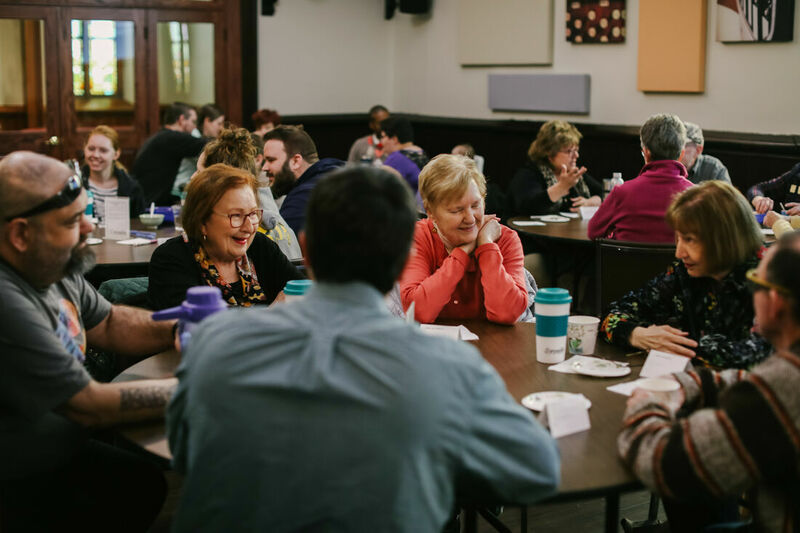 As we lurch into spring with fits and starts, Trinity Fusion continues rolling along as a great vehicle to engage people both inside and outside of the church. In March, we focused on drama. We had audience engagement in a gospel parable similar to the experiences of Jesus’ original audiences. Our guest storyteller, John Collier, shared about his growth into acting and the further evolution into a fully formed person of the theatre. He gave us a glimpse into his faithful expression through scenery design, read us a less than favorable review of his singing, and sang us the risqué song he performed at his very first audition. April’s Fusion meeting will take up the topic of struggle, as we continue in the reflection to which the season of Lent calls us. ​Join us on April 15th in the GREAT room at 6 pm. Fusion Kids is a space where children connect and build relationships with God and each other, discover the love of Jesus Christ, and grow in faith. We focus on creating an environment where children feel safe. Activities are designed to reinforce skills they learn in school, as well as teach them something new. Join us during Trinity Fusion in the Fusion Kids room! Interested in one of the Fusion Teams? ​information or to sign up!